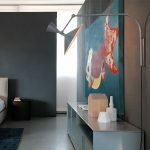 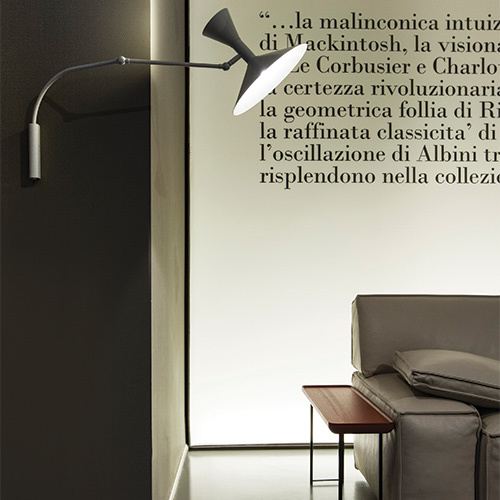 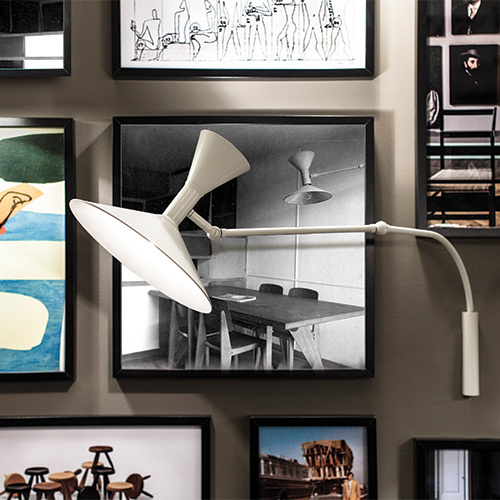 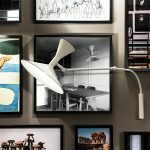 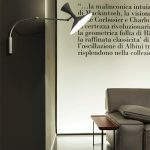 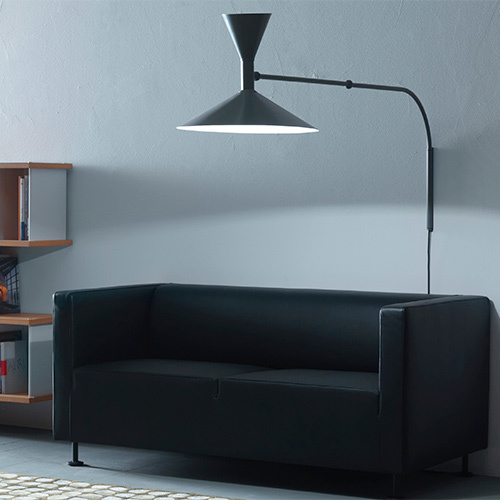 Designed by Le Corbusier for the Unité Habitation of Marseille in 1949/1952, Lampe De Mareille is an adjustable wall lamp with two joints on the arm and a rotating wall-mount. 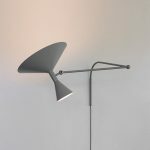 Spun aluminium diffuser. 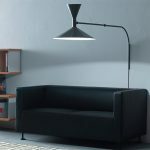 Available with matt grey or whitewash body, with whitewash internal diffusers. 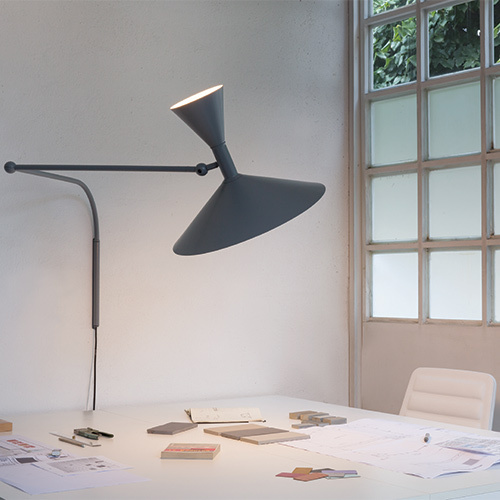 Direct and indirect lighting output. Double switch on the cable, for a functional and adjustable light output.